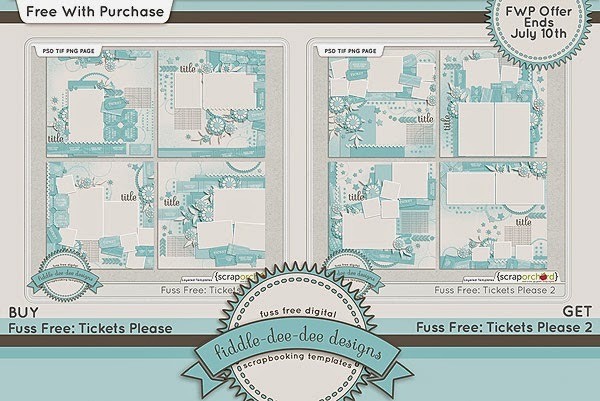 Fiddle-Dee-Dee Designs: Hold your tickets up! It's official! Iron Scrapper is here! Hold your tickets up! It's official! 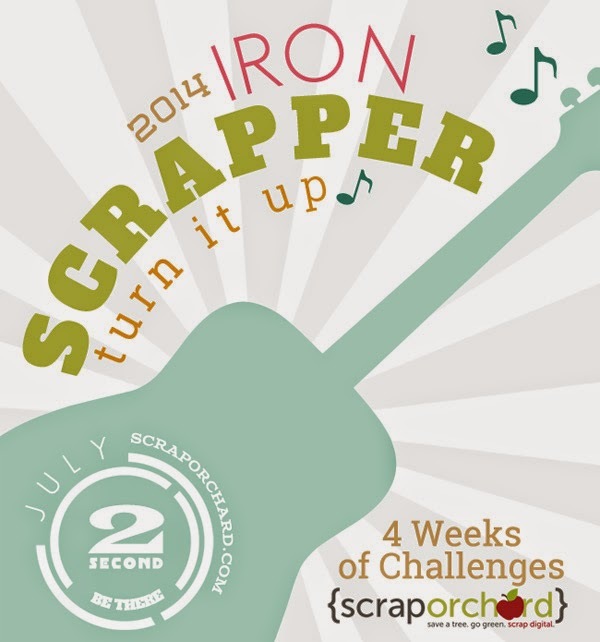 Iron Scrapper is here! I'm always gathering tickets, from concerts to fairs to art festivals, and I wanted to make some layouts featuring my photographs along with that scanned ephemera. My sister and I have also started a concert series where we are meeting at her house to listen to one artist all night, but we get to hang out in the comfort of her house (great seats and clean restrooms, for the win! LOL) and we can talk and pause the music as needed. Of course, I don't have tickets for those nights, so when I created these templates, I made sure that I had plenty of tickets to be able to clip papers to mimic tickets for an important event. 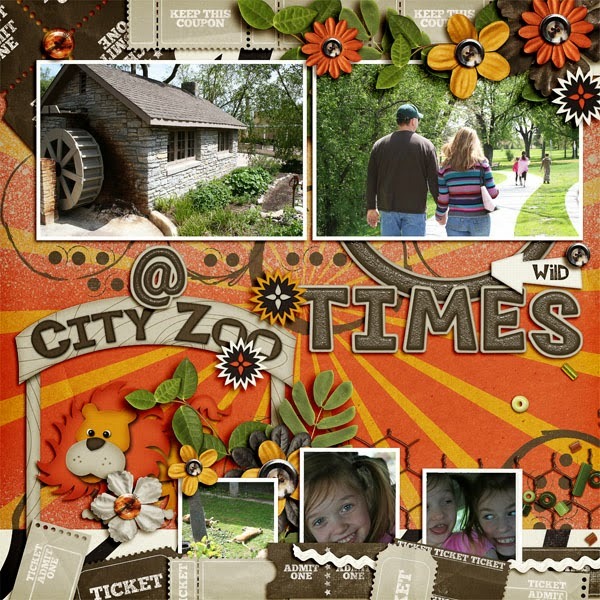 I've even included fun stamps, folds and wrinkles to add a realistic feel to the tickets. So no matter what events you've attended, with or without tickets, Fuss Free: Tickets Please and Fuss Free: Tickets Please 2 will be a perfect choice to help you document those special memories! 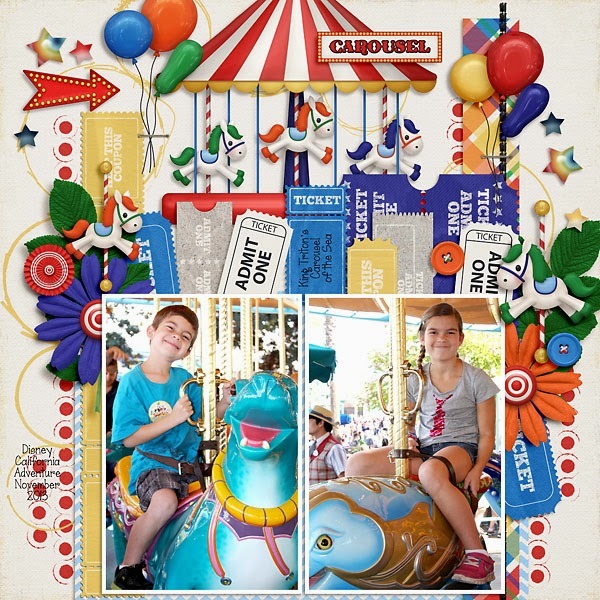 Purchase Fuss Free: Tickets Please and receive Fuss Free: Tickets Please 2 FREE! Offer valid through July 10, 2014. It's official! Iron Scrapper is here! 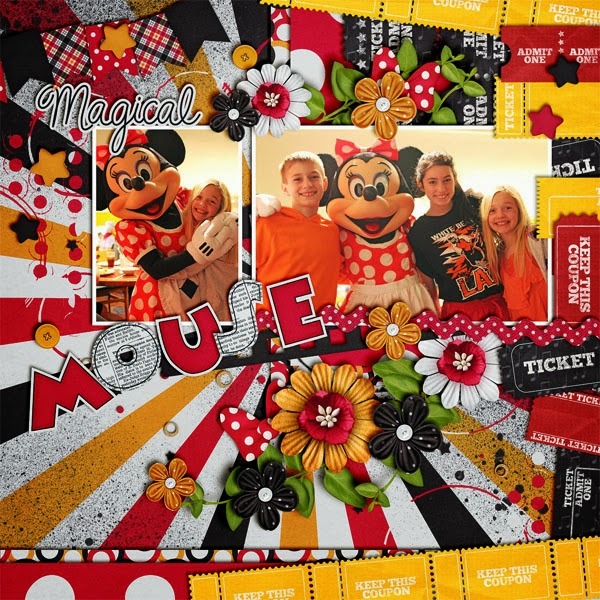 And we're turning it up with more amazing prizes and fun kits to help you scrap more memories! You can read all the rules and information here. This year our theme is focused on decades of music. 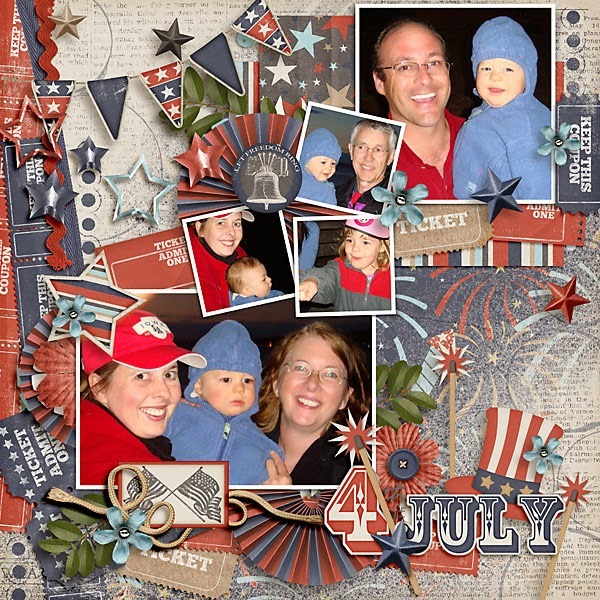 For this first week, we are featuring songs from the 1940's and 1950's. 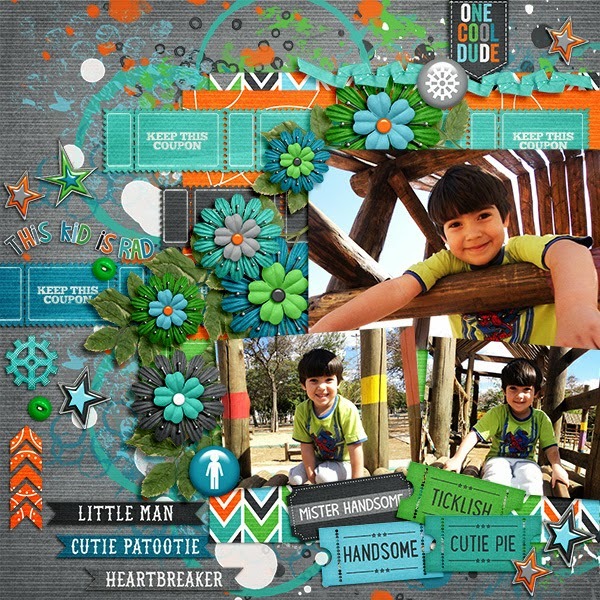 I teamed up with Andrea of Little Green Frog Designs and we have two double template packs for you. Each pack contains one template designed by me and one template designed by Andrea. Please be sure to read our product descriptions so you can read why we picked these songs! If you purchase four or more of the products in this week's Iron Scrapper Collection, you'll save 50%, plus you'll get the Iron Scrapper Week Two Free-With-Purchase! 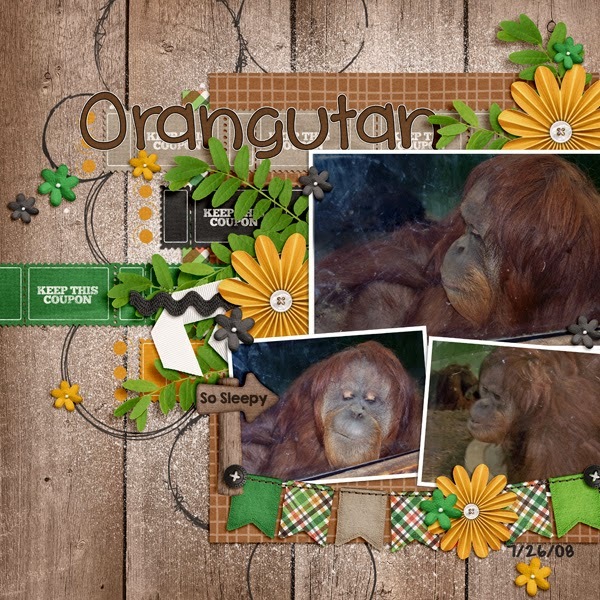 The July Exclusive Template for my Facebook Fans is available on my Facebook Fan Page. Once you get to my Fan Page, make sure you have "liked" the page and then click on the EXCLUSIVE GIFT under the cover image or click on the EXCLUSIVE GIFT FOR FANS thumbnail in the left sidebar. You will be able to download the July template from there. 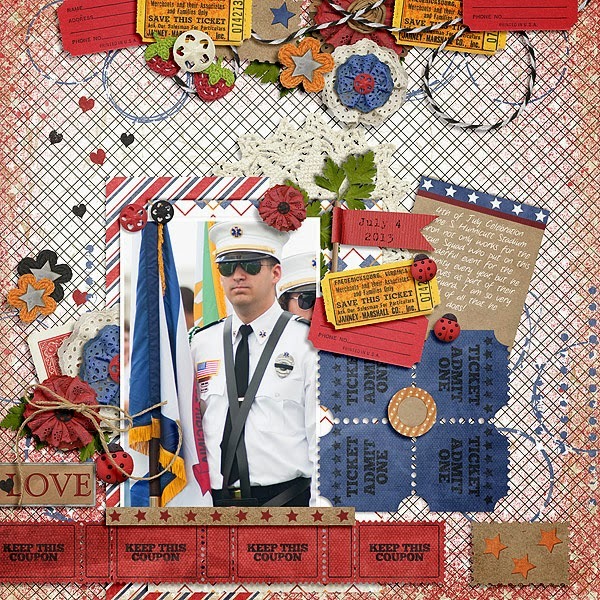 The July Template Challenge has been posted at My Scrapbook Art and you can download this free template for your stash. 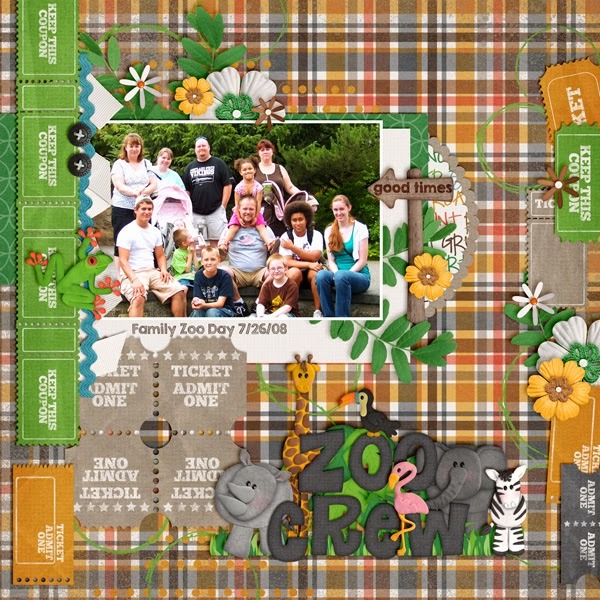 A new template from me for July's Template Tuesday will available July 8th on the Scrap Orchard Blog. I hope you all are enjoying the start of Iron Scrapper. 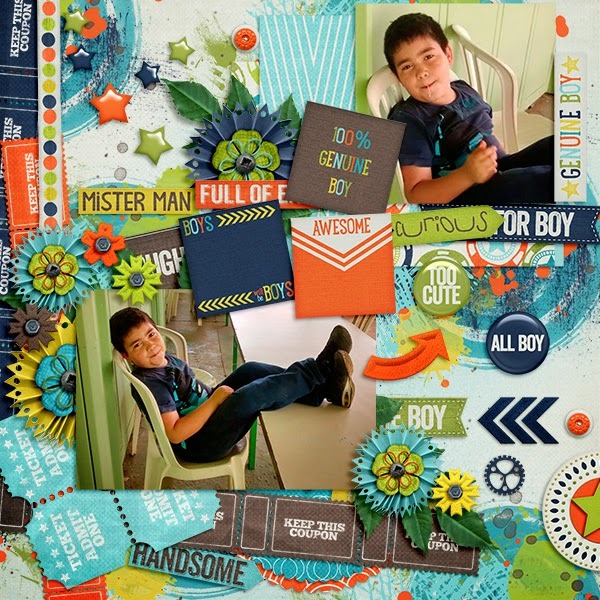 As always, I'm crossing all crossables, hoping that one of my customers is going to win! 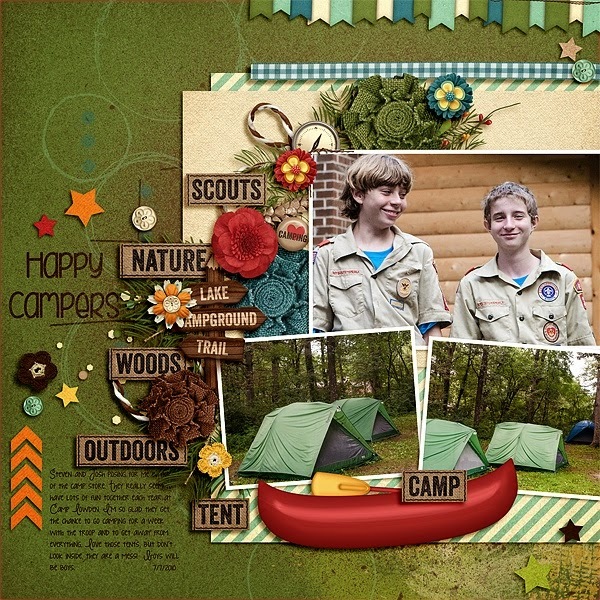 I hope these templates are just the ticket you need to help you finish some of the challenges! These are lovely, and such a great resource in my stash. Thank you for sharing with us. The best of times . . . Here and There . . . and everywhere!